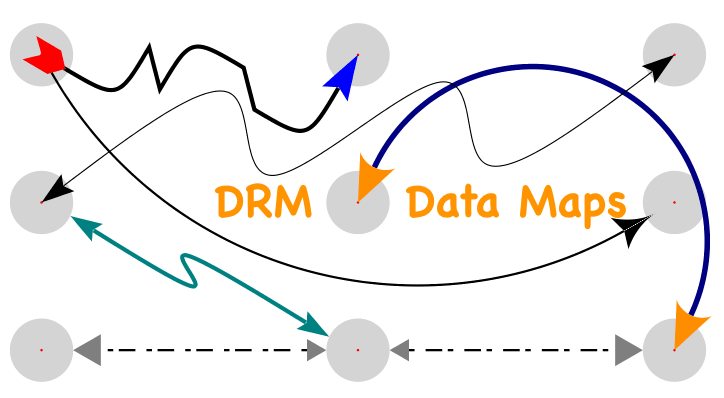 My last post laid out the use case for a simple DRM data map maintenance scenario where a similar dimension (e.g. Account) requires mapping across two applications with a unique level of detail (e.g. Accounting level of detail vs. Planning level of detail). What about a more complicated mapping scenario? Perhaps you’re dealing with a requirement to support KPI metrics across your EPM and BI solutions that are created from a multi-dimensional mapping of Chart of Account information (e.g. a combination of Accounts and Cost Centers). This mapping information could be referenced as data is sourced, calculated and aggregated across EPM applications or a supporting BI warehouse. Let’s explore the work involved in setting up Oracle DRM to support the maintenance and distribution of multidimensional maps to subscribing systems so that the analytical and reporting applications can speak the same data language without requiring onerous administration costs. Step 1: Establish core Account and Cost Center hierarchies in DRM that support the organization. These hierarchies are managed when new metadata is requested and they are exported to support ERP, EPM and warehouse environment dimensionality. Step 2: Create a third hierarchy used for purely mapping purposes. This hierarchy will be used to visualize the metrics that arise from mapping Account and Cost Center data elements. Step 3: Create mapping properties in DRM to allow members in the KPI mapping hierarchy to be described via Accounts and CostCenters relationships set up in Step 1. Step 4: Assign Account mapping relationships to KPI Hierarchy. Notice that although ‘Subscription Revenue’ Account mapping for the ‘Customer Acquisition Costs’ KPI in the example above was not defined using base level detail, a calculated property in DRM was configured to render a comma delimited list of Account hierarchy relationship assigned. Pic 5: Account hierarchy relationships are referenced in properties reducing synchronization efforts when Account rollups are updated. Leveraging a hierarchy-driven mapping framework enables significant operational efficiency by reducing synchronization activities required when routine metadata changes occur. A tool like DRM can help keep hierarchy information intact across all hierarchy and property elements that reference it. Step 5: Apply Cost Center mapping relationships to KPI Hierarchy. Pic 6: Account and Cost Center hierarchy mappings are complete. Step 6: Create a DRM export to output mapping Account and Cost Center detail that will be leveraged in data integration operations across the enterprise. Exports can be created to publish the content of the mapping hierarchy to any subscribing application or warehouse via text, relational of web service calls. Previous Kscope18: Work Hard, Play Hard, Dance Harder! Very interesting. I’m glad to see articles about using DRM for advanced and ingenious ways to leverage and maintain associations that can help extend the value of the product. Well done.